The Detroit Pistons are so old that they predate the NBA. The NBA formed in 1949. The Pistons began in 1947 as the Fort Wayne Pistons. 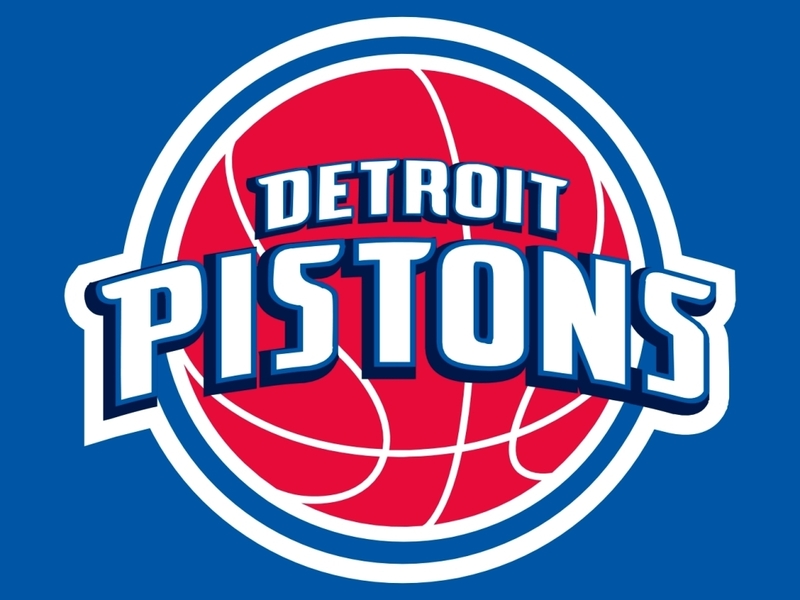 The Pistons moved to Detroit in 1958. Detroit was not one of the elite teams in the NBA during the first few decades of their existence. They were not one of the worst either. They were in stuck in mediocrity for a long time. Other than their 1955 trip to the Finals, the Pistons do not have much to boast about until the 80′s. In 1981, a few things happened for the Pistons that would make them a force to be reckoned with for the next decade. They drafted Isaiah Thomas and traded for Bill Laimbeer and Vinnie Johnson. These three players would be the core of the team which would be known as the “Bad Boys.” With the additions of Joe Dumars and Dennis Rodman, the Pistons would complete their tough nosed, defensive roster. The Pistons would compete with some of the other top teams in the East in the playoffs for years. They would not be able to break through to the Eastern Conference finals until 1988. They lost in tough fashion to the more experience Boston Celtics team who had won multiple titles. Each of the next few seasons the Pistons would go on to improve. After losing to the Celtics in 1988, the Pistons would bolster their efforts and defeat the Celtics in the playoffs in 1989. 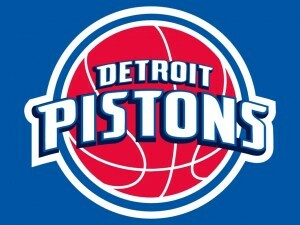 The Pistons finally made it back to the Finals for the first time since the 50′s when they still played in Fort Wayne. The Pistons would be matched up against the Los Angeles Lakers. The Lakers were also experienced in the playoffs having won a few titles of their own. Magic Johnson would lead the Lakers to defeat the Pistons in seven games. Isaiah Thomas was hurt during the final two games of the series which would have affected the game to some degree. The Pistons did not seem content with just getting to the Finals for the first time in almost four decades. They followed up a loss in the Finals in game 7 with a franchise record 63 wins in the 1989-1990 season. They would not just see success in the regular season. They would return to the Finals against the Lakers. This time the Pistons were the victors. They swept the Lakers in four games to take home their first championship. The Pistons dynasty would not be complete without another championship. The Pistons won 59 games the following season in route to returning to the Finals. This time the Pistons would run into the Portland Trail Blazers in the Finals. They would not repeat winning four straight games in the Finals. This time they would lose one game. They defeated the Trail Blazers three straight games in Portland to take home their second consecutive championship. The Pistons would then find themselves against the unstoppable force named Michael Jordan for the next few years. The Pistons had prevented the young Bulls from making it to the Finals, but once the Bulls finally defeated the Pistons to make it to the Finals after the Pistons won their second title, the Bulls would not relent in their dominance of the Eastern Conference and the NBA as a whole. During the rest of the 90′s the Pistons would be a top Eastern Conference team, but they were never a threat to win another title. The Pistons again began to turn into a championship team in the early 2000′s. Behind the play of their five starters, the Pistons would again return to the top of the East. The Pistons starting five was considered the best in the league during the time because they had no weak position. Chauncey Billups, Richard Hamilton, Tayshaun Prince, Rasheed Wallace, and Ben Wallace made up the team that would again return to the Finals. That return trip would come in 2004. The Pistons faced the Lakers who had won three titles in a row until the Spurs won the title the year before. The Pistons faced Shaquille O’Neal and Kobe Bryant who each were part of the three peat of the Lakers. In shocking fashion, the Pistons defeated the Lakers in five games for their third championship as a franchise. The Pistons would continue as a dominant team in the East for a couple of years. They returned to the Finals the following season only to lose to the Spurs in game 7. Detroit would not fall out of top contention until they traded their leader Chauncey Billups to the Denver Nuggets in 2008. The Pistons would give up their streak of going to the Eastern Conference finals for five straight years. After disbanding their starting five, the Pistons would enter into a time of rebuilding. The Pistons are still in the time of rebuilding, but they have little to show for hope in the future. Greg Monroe is developing into one of the better young big men in the league, but the Pistons need to begin to put other quality talent around him to ensure their development as a team and Monroe’s commitment to them in the future.